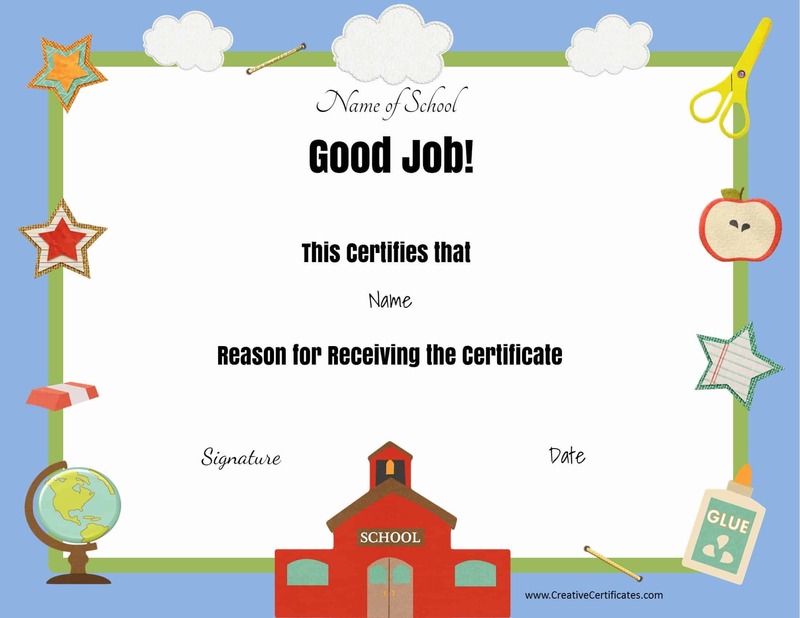 These free printable school certificate templates are a great way to motivate students to study and take school seriously. Some kids are so motivated that they don’t need any positive recognition to keep them driven. Others need a little help. 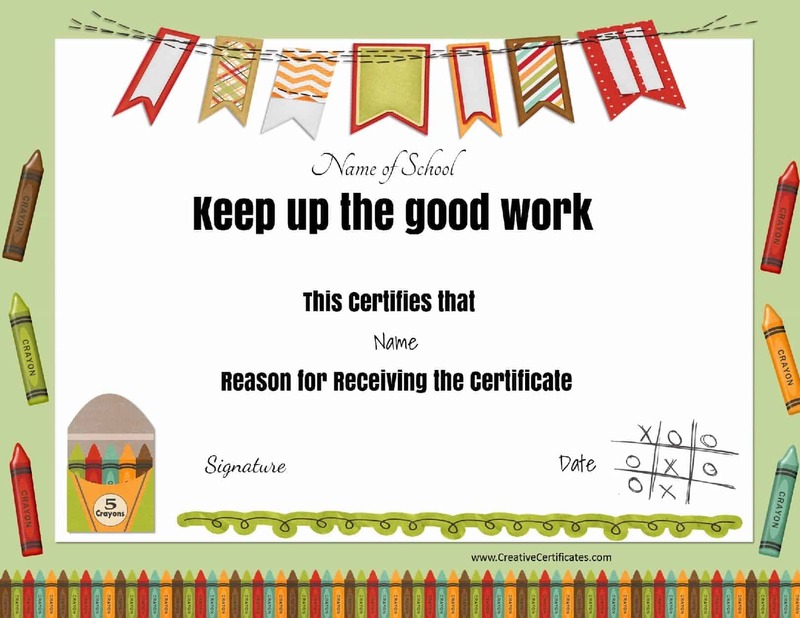 For those students who need praise and motivation, teachers can use printable certificates to award them for the effort that they put into their school work, boost their self-confidence and get them to be a little more driven. 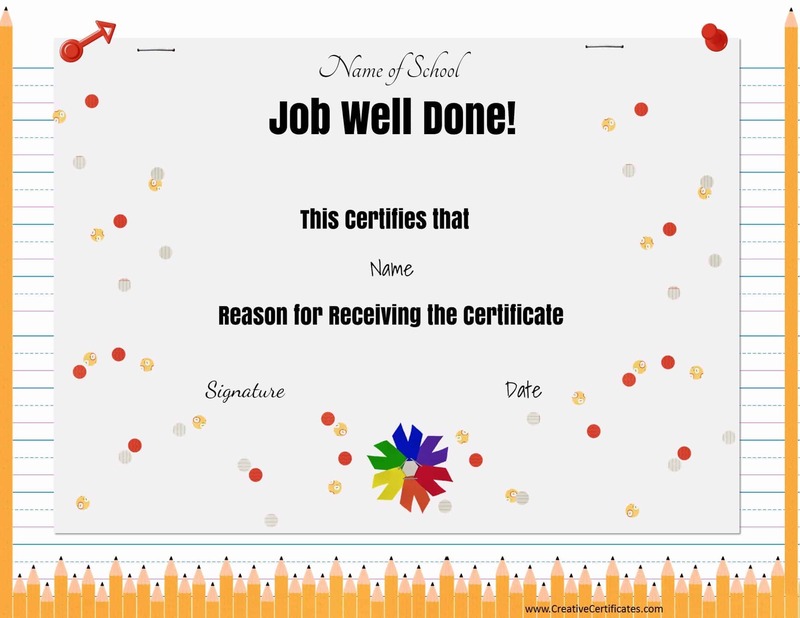 The school certificates can be used by students, teachers, parents and volunteers. 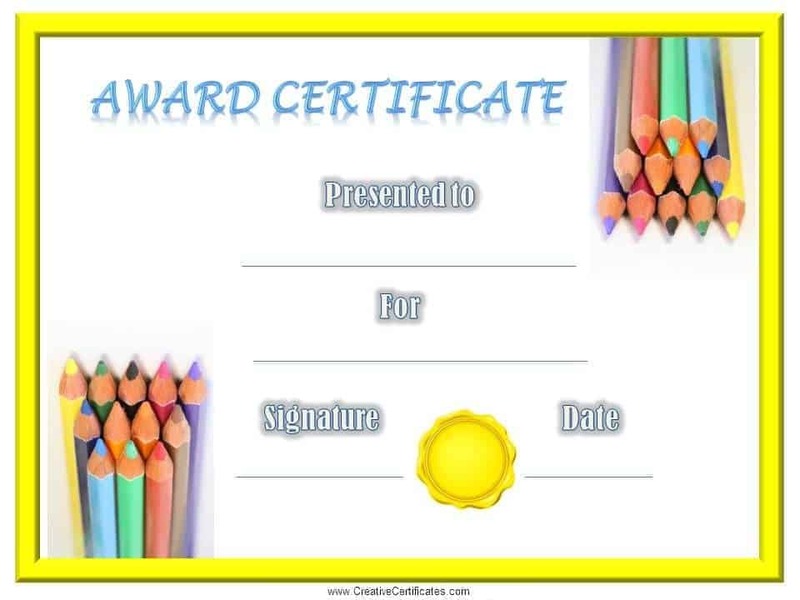 In addition to the following editable certificate templates, we also have a list of specific student awards (see below). 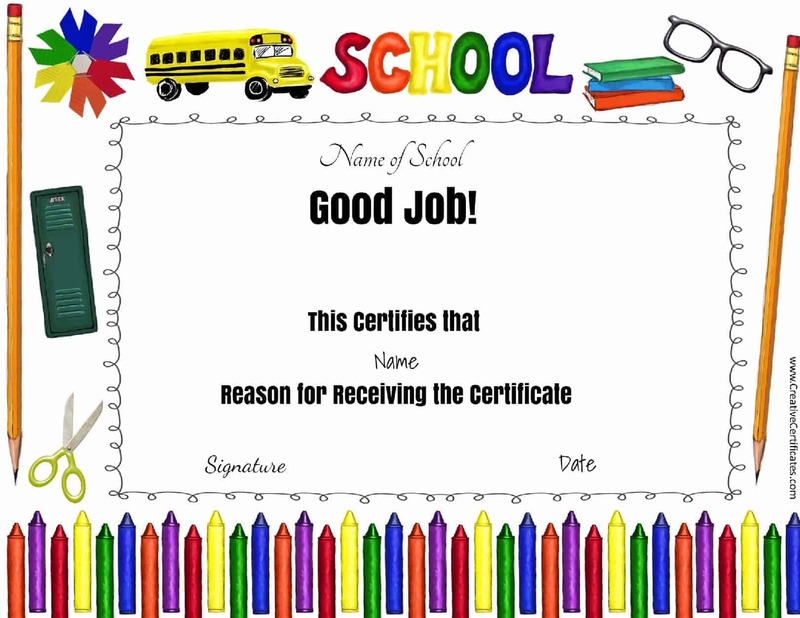 In the beginning, you might find that students are putting effort into school work just to get the certificate but in the end, they will realize that their effort will help them succeed in school and eventually the motivation will come from within without the need for award certificates and prizes. Even if a child continuously keeps studying just to receive recognition it might be better than a child who isn’t motivated at all. In the end, the reason for studying might not be to succeed in school but the outcome will be the same as a child who has studied because of some inner drive to succeed. It is important to reward not only those who need a little help with their motivation but also those who are motivated and excelling. Often, teachers take those students for granted and pay more attention to those who lack motivation. 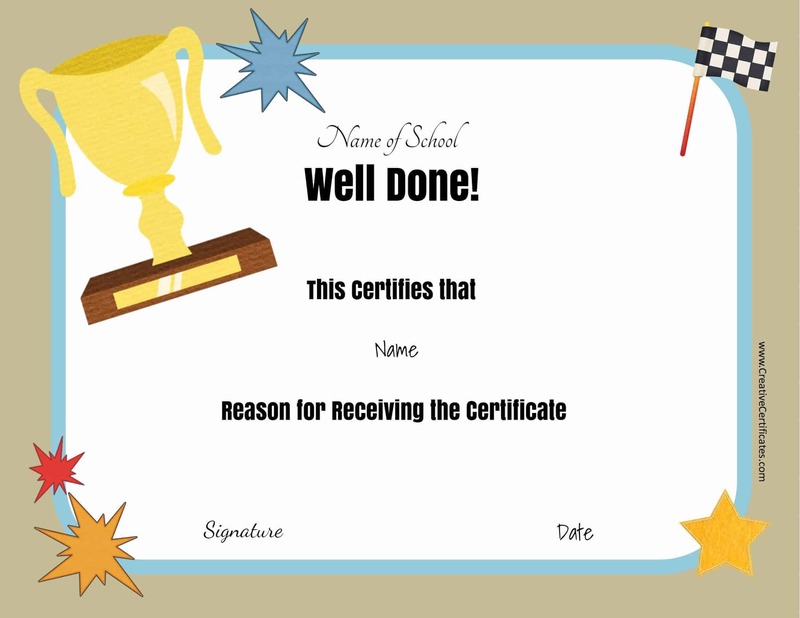 Award certificate templates can help keep those students motivated as well. 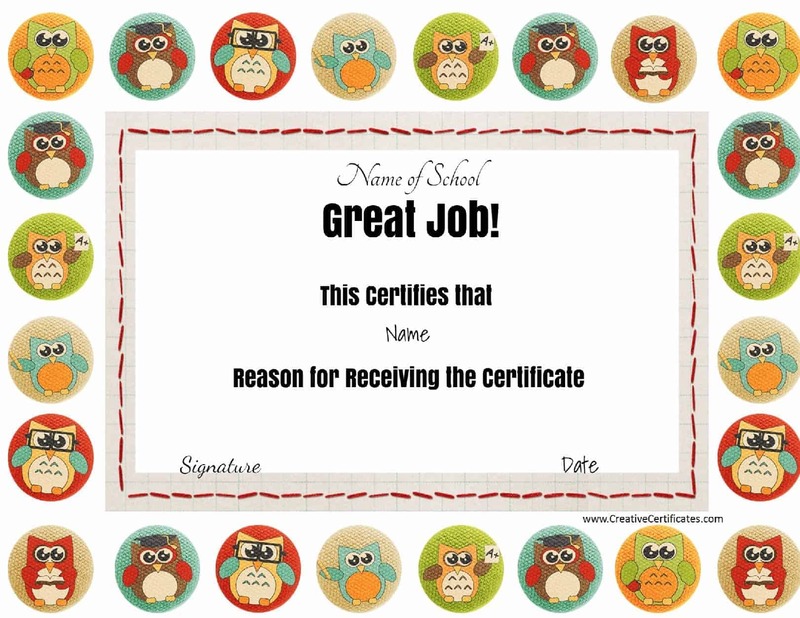 All school certificates are free! 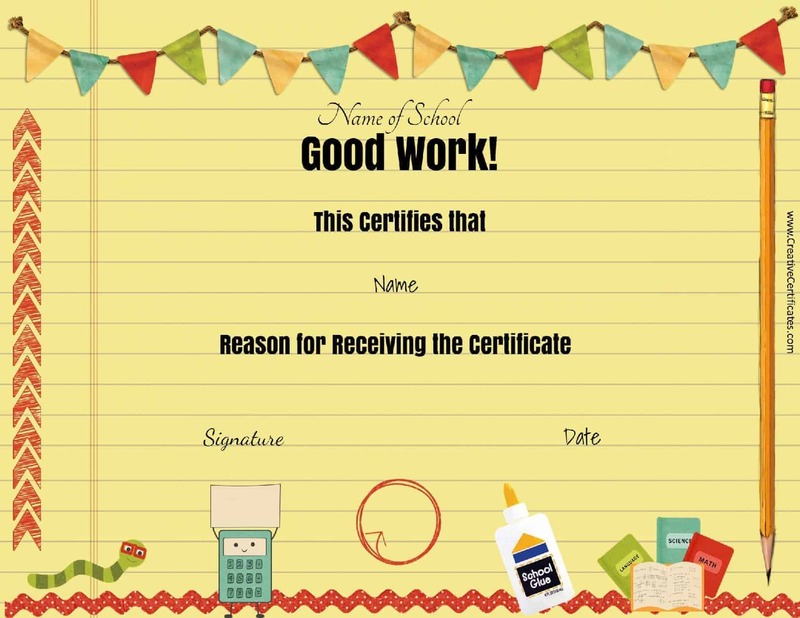 You can prepare and customize many kinds of printable certificates on this site. 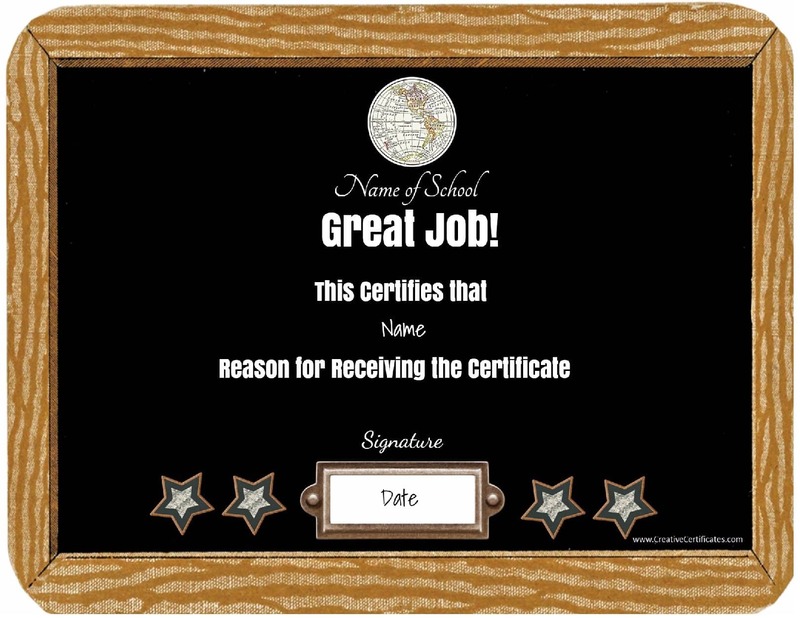 The award certificate templates above are more specific but if you cannot find one that is appropriate you might want to check out our generic templates which you might be able to adapt to your needs. Be creative and try to find a way to recognize any effort that students make even if they do not get straight A’s. 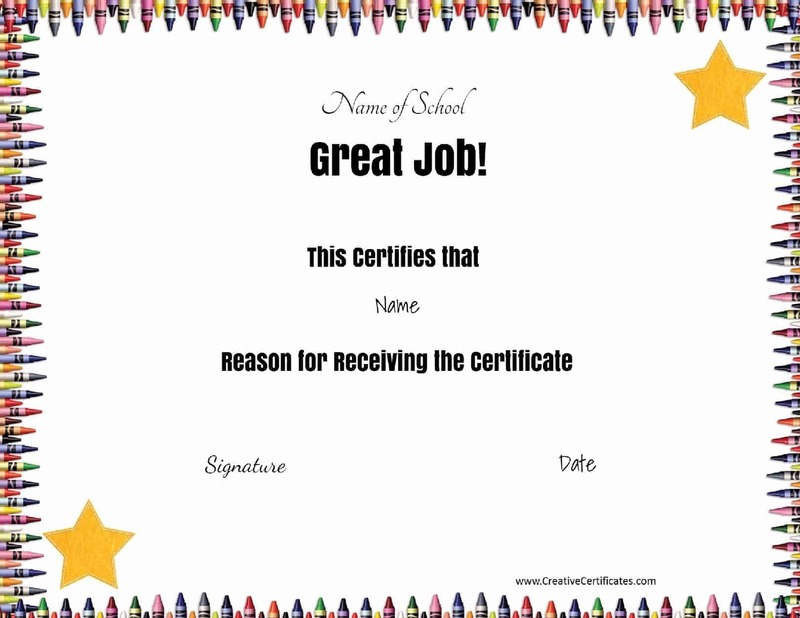 Who can use these certificates? 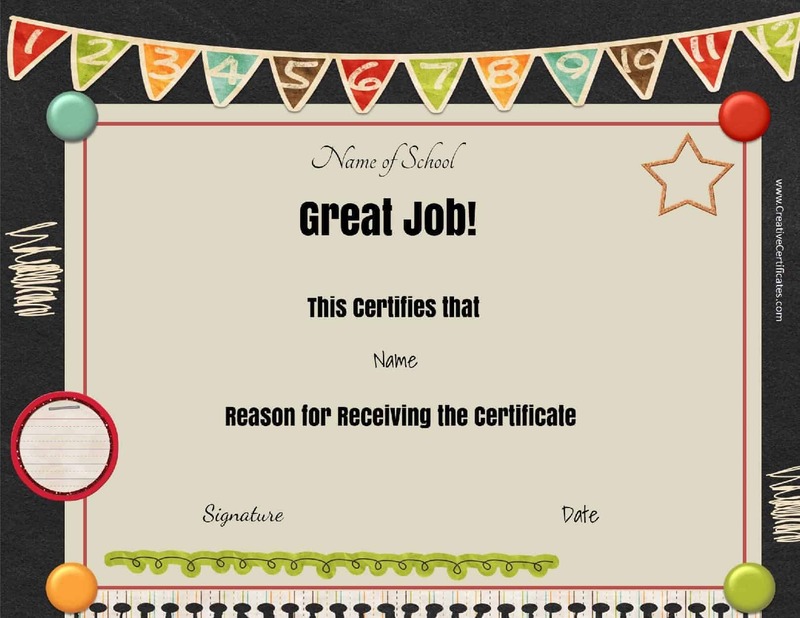 To make the certificate more official you can add your school logo. To do this click on “customize” to open the online certificate maker. Once it opens click on the green button below.